For every second in David Rockefeller's long life, he's been one of the wealthiest human beings on the planet. Like the devil in the song by the Rolling Stones, he has always been a man of wealth and taste. Growing up in a nine story house full of Renaissance treasures doesn't make a normal child. If he were ever elected President of the United States of America, it would be a demotion. 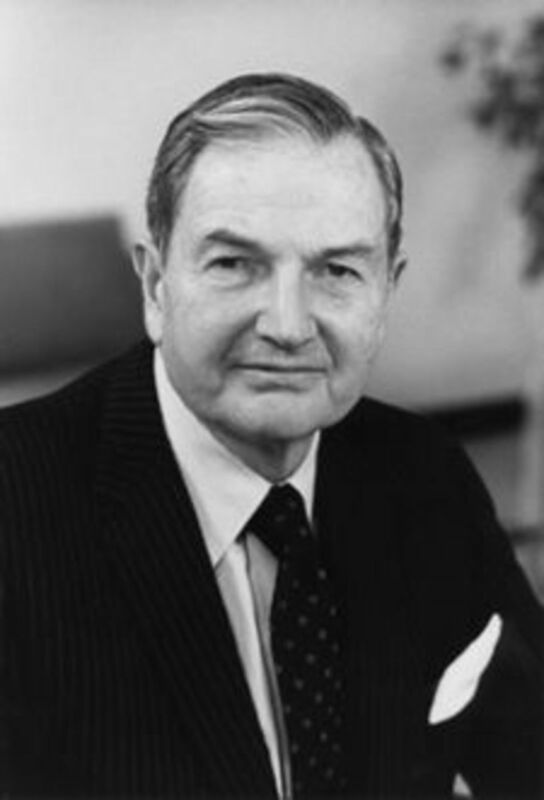 David Rockefeller is the only surviving grandson of America's first billionaire, John Davison Rockefeller. Although you may hear rumors regarding the heir's demise, at the time of this writing David is still alive, although he is now very elderly, and not likely to live many more years. Because of his tremendous fortune and influence, David Rockefeller is at the forefront of the minds of every conspiracy theorist. He's even got a character on hit cartoon show, The Simpsons, that for all the world seems to be modeled after him (Mr. Burns). It is impossible to imagine walking a mile in his shoes. But how can we be so quick to judge a life most of us could never begin to comprehend? Read on for more facts that make it exceedingly easy to dislike such a person. How Much Money Does David Rockefeller Have? What is David Rockefeller worth? You will find many *cough* "official statements" on seemingly reputable websites that cite an obscene number, but you shouldn't believe it because the real number won't be found. Call it a "404 page not found" error if you like, but David's grandfather was the first billionaire in America, and if you know how "it takes money to make money," then you know the official numbers are just bunk junk for public consumption. If you were one of the wealthiest men on the planet, then you would surely prefer that people believe that Bill Gates is worth more than you, and you'd only leave a trail for a very small portion of your wealth. This is what David Rockefeller has done. He's rumored to be worth over a trillion dollars, but Wikipedia says he's worth only $2.9 billion, which is a number so ridiculously low one has to wonder if the person who put it there knows how to balance their own bank account. Wikipedia is terrific for facts, but only if they fit the agendas of the global oligarchy. How much money did John Davison Rockefeller have? Well, according to "politically correct" sources on what is really controlled information on the internet, David Rockefeller's grandfather had just $1 billion (adjusted for inflation, that amount today would be $318.3 billion). Large sums of his fortune were donated to causes like medical research, but to assume that David Rockefeller inherited less than $3 billion from his grandfather would be rather silly. Now, let's try to adjust that total for inflation and add interest accrued... would anyone like to attempt the math? We haven't discussed how much David made in his lifetime. But still, even conservative estimates are completely, utterly obscene. Why Do So Many People Believe David Rockefeller Is Evil? Are we or are we not seeing a global economic crisis? I think we can all agree that we are seeing just that, and those who secretly control the flow of money are not acting in the best interest of the public. 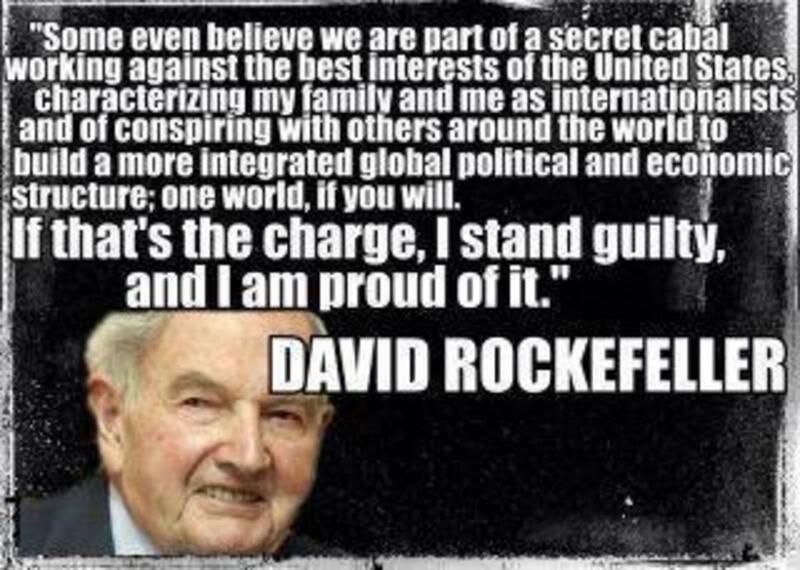 David Rockefeller is a huge part of virtually every secret organization of ultra rich on the planet. What has he done to make it a better place? If you know who a person's friends are, you can then tell what sort of person he is. David Rockefeller and Henry Kissinger have been very close friends since they first met in 1954. Why do people consider Henry Kissinger to be so evil? Answer that one, and you'll know the same thing is true about Rockefeller. Despite the huge international influence Kissinger has wielded over the past several decades, even more is wielded by David Rockefeller. In the US, since the false flag attacks upon our own nation by global oligarchy on 9/11, the people of the nation have seen tremendous drops in their personal wealth, and also huge losses in jobs and opportunities. It can be said with no small fanfare that since that 9/11, America has become weaker. So why do people hate David Rockefeller? A terrific answer would be because he hates us, wants global governance, and is actively pursuing whatever evil he thinks needs doing in order to make that happen. While only purposeful ignorance or stupidity could lead one to be satisfied with the current state of affairs in Washington D.C., most people still very much love this country. Only terrific strain and sorrow would force citizens submit to any outside governance, but David Rockefeller's life has been dedicated towards such ends. People are right to have and to hold total hatred for Mr. David Rockefeller's actions on planet Earth, and especially in regards to his nation of birth. We are grateful to The Washington Post, The New York Times, Time Magazine, and other great publications whose directors have attended our meetings and respected their promises of discretion for almost forty years. It would have been impossible for us to develop our plan for the world if we had been subject to the lights of publicity during those years. But, the world is now more sophisticated and prepared to march towards a world government. The supranational sovereignty of an intellectual elite and world bankers is surely preferable to the national auto-determination [democracy] practiced in past centuries." —David Rockefeller in June 5, 1991 at the Bilderberger meeting in Baden Baden, Germany (a meeting also attended by then-Governor Bill Clinton. If you've ever entertained the passing thought that mass media exists to create division and not unity, well, you're on to something. If you've realized that nothing of any value is transmitted to you on television, then you are, in my never humble opinion, a very bright person. 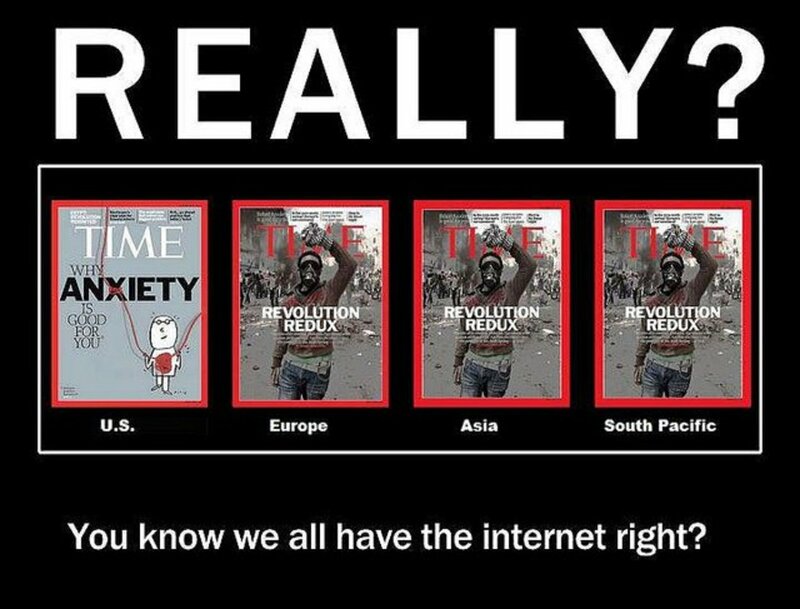 If you've gone even further and realized that mass media and the flow of misinformation is planned and contrived by global oligarchs, then pat yourself on the back: you are utterly brilliant. You can pay your dues to David Rockefeller for this, and spit on his very grave when you get the chance. The man has invested far more billions into mass media than the number cited on Wikipedia as his total wealth. Of course he is an international banker with close ties to the worst family on planet Earth, the Rothschild family. In fact, if you point your finger at anything foul in the USA, somewhere lurking in the unpublished darkness of a monopolized mass media bent on disinformation, there you will find David Rockefeller. What is David Rockefeller's religion? Is Mark Zuckerberg the grandson of David Rockefeller? Juanyork7676@gmail.com - I'm into Christian eschatology, and have been for years. It's not a subject I find many other persons take very seriously. They have been seeking global dominance for years. This world is full of deceit and deception, which is evil and a part of satan's planning. The bible provides answers to what is happening right now. Really? Isn't there a pill for unfounded paranoia like this? Makes me think back to the "Creator From Jekyll Island"
And so, after burning out his sixth Heart transplant, David Rockefeller (Sr.) has died at the age of 101, the blood of so many meer humans on his feet as he and his family disdainfully backed Stalin and Adolf Hitler, made deals with terrorist Oil Sheiks and Russian Oligarchs and built banks like a family hobby shop, while hiding money and subsurfacing entire Super Lawyer Law Firms, under control of the family law Milbank Tweed and so many others, diverting attention away from the greed and hyper wealth that is this family. Hundreds of times wealthier than any other. And always about more. So now he knows you can't take it with you..
Well that makes two of us. I'm right with you on the truth about the oligarchy and 911. It's sad more people don't see it but as you know, they're distracted or suffering from cognitive dissonance. Yeah, guys like David Rockefeller don't look at us as being of the same species as the "intellectual elite". Personally I don't know how intellectual they really are. If they had some vision they might realize the planet and it's societies are in serious trouble. With no planet the "intellectual elite" won't have a place to live and with political discord comes the chaos. 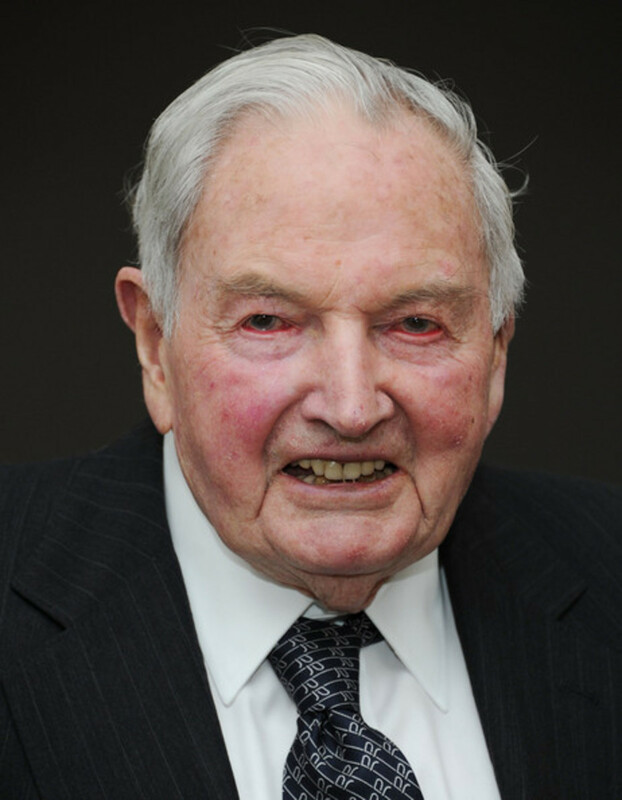 On a side note David Rockefeller has had seven heart transplants and is 101-years old. They say only the good die young if that's any device for measuring his legacy. When he goes nobody will miss him. Sadly he's not the only one with this sick worldview. Humanity is being destroyed by it's own greed. I beginning to notice how the world takes advantage of the money system. The Balfour is to align the system with Royalty and guard it with a total every country agreement plan type because one country takes advantage and its hard to make every one happy..I can not believe eyes the sickening way they take advantage over here in this place it scares me and there is a problem in Hollywood they are really gonna cause a 911 take 2 and they really don't care. I'm sick. Ilegally took my kids and wont give me answers making me wanna give up in life. Evil people live longer.. Rockefeller, Soros, Carter, GHW Bush, etc. I just stumbled on to your website today - Very nice work here - well worth the time to read & to research . David Rockefeller is the origninal New York "bankster." Chase made millions on kickbacks from forced homeowner insurance. http://www.insurancejournal.com/news/national/2014... David recently had his 6th heart transplant at age 99. He's also had 2 kidney transplants. Apparently he didn't learn in kindergarten to wait his turn! Not unless he died today...which is possible. I've just not heard the news yet. He's very old, of course, and likely to die any time...but David is just a peon compared to the Rothschild family...and others of that kind, like George Soros. Great hub, Wesman. I read your entire profile too, and I do like your style. I wanted to read at least one of your hubs, for now, and chose this one because of what I'm working on. I read all the comments too, something I almost never do. Probably can count the times on one hand. I'll be contacting you by email soon. Went out to get supplies today, and now just catching everything up. SUE SWAN!!!!!!!!!!!!!!!!! I don't know who this Carl Jensen person is - but I sure think he's got a good head on his shoulders! I found the following which enforces what you said about the Mass media. Pretty interesting article. I didn't know much about him or that he was so rich. I'm not sure David Rockefeller could hide his wealth if he were richer than Warren Buffet and Bill Gates. Isn't much of this imformation public, such as the shares in public and even many private corporations. I find it difficult to believe Rockefeller would have the clout and influence to effectively silence the entire media as to his subversive actions. It would take the silence and cooperation of so many people with differing interests to pull off the types of conspiracies that Rockefeller has been accused of. This is why I believe his influence is overestimated. There no doubt that many political progressives would like their small group of elites to control the world but even among these elites there's a lot of differences in ideology. I think you may be giving these folks more credit for being clever than they deserve. I don't believe their smart or disciplined enough to pull it off. The great thing about those steady twelve hour work days....is that when I did that, I had money to buy expensive guitars!!! I am an Indian, in my schooldays we used to learn about Rockefeller and of course great role model. Recently in Joseph Stiglitz's book, i came to know that Rockefeller family and their clans as he described as 'Looting barons". In one comment that Ugencis was promoted by him. it is all shocking. When we reopen history ,we come to know the truth whatever . You're my hero. I have always imagined myself living in a motor home somewhere in a warm climate with just my dog and misc. guitars. Fate and my wife & kids had a different plan. Alas, I find myself here in NE Ohio with 14" of snow presently on the ground with a 12 hr. work day ahead. We are opposites in lifestyle but kindred spirits none the less. I live in a travel trailer...but I've not paid for it yet either. Oh man...gotta go to work today, and it is 25 degrees here in Texas...and I have to work outside in it. Yes! by all means write!!!!!!! Of course my goal is to really make a living online...but that is nowhere near happening at present! I shall keep trying, however. No iphone, no laptop, no car or truck, and no fashion stuffs for me. I want to find something I can produce for barter and trade. Every single time we use dollar bills in a transaction...we lose the fruits of our labours to the tax man. If we can barter/trade...we lose nothing at all. Very true in an ideological sense but it's hard not to value money which we all need to survive. I agree that materialism has gone over the top but it seems the techno era we find ourselves living in demands a certain socioeconomic standard which takes money. Sometimes I think I'd like to live in a log cabin and live off the land but then I think, "How in the hell am I going to get high speed internet access?" Ha, ha. I think we're all slaves to technology. I still don't have a smart phone or a laptop. I opted for the Breedlove J25Cre that I told you about. I'm still waiting for it to be delivered. This Rockefeller piece was great. It got my wheels turning. I feel another hub coming on. Maybe a sociological piece this time. Hey Guitar Gear - no one has power at all over anything but themselves....and if we stop valuing as a people the things someone like Rockefeller wishes for us to value...then he has no power. Hey Crin, well, the way to keep my sanity is to write about things on Hubpages or other sites!!!!!!!!!! Oh the times they are a changin'! This piece was very informative. I've heard a lot about the Rockefellers but didn't know much about this guy. I wonder how many others like him there are not just in the U.S. but globally. Man, it doesn't look good for those of us down here in the trenches. Thanks. Todd, I am speaking for myself, but I discovered that in order to keep whatever is left of my sanity, I should not worry about anybody elese but me. I found out during the years that destiny does not care about right or wrong, so why should we? I understand your obsession with the Rockefellers, I have my own will Bill Gates. I guess that making money these days, is evil, but somebody has to do it. In a way I am glad I am not the one. I didn't know much about David Rockefeller but did know he is very rich, so thanks for shining the light on this subject and helping me learn more about him. Well what I think is immoral about David is that he's not really much of a business man at all, he was born into such fantastic wealth none of us can every really even conceive of it. He's decided to dedicate his existence to the goal of one world governance, and I suppose that is his prerogative, however, I am free to make my observations about it all. Oh I'm certain it is going to happen, but I doubt he'll be here to see it, and I hope he's rather unhappy about that when he passes - and when it DOES happen, it is going to be a thunderous failure for the ideals of the leader of it all. The cultures and the different values in different places in the world will always prevent there being one sort of person or group of persons who can rule it all. Humanity is incapable of not succumbing to some very nasty characteristics when so much power is wielded. While I'm beyond positive that during the Clinton years Americans were far too fat, and far too wasteful for anyone's liking, I also think Rockefeller's goal of weakening the power of the USA is such an obvious treason that to deny it would require some serious self deception. Self deception such as thinking a group of powerful "elites" in finance can deal with the Earth rightly and honestly while stuffing their egos...and that is serious self deception. Todd, as you may know I have owned my own business since 1984. It was the only way to make a decent living. I am not a friend of the unions. There is a very complex and interesting situation with the unions. Like any social phenomenon, they did not keep up with the times, and that it is why they may seem anachronistic. In our country now, we have very few workers in the manufacturing field, and originally the unions were created to protect workers in manufacturing, textile, auto, steel and so on. Technology has been eliminating labor for years. At this point in time we have more service laborers in this country than manufacture workers, yet the service is not unionized to the degree the manufacturing is. The problem is that once the robots and the computers stepped in, the productivity was increased, but no one bothered to think about the labor displaced. Unfortunately, business in this country refuses to understand that its existence is not exclusive, and in fact, labor needs business as much as business needs labor. I don't mind if people can have a business on their own and make fortune without depending on others. But it does not happen. When you are employed, you are paid, a token usually. If the business is successful, the owner assumes all the credit, if the business is not, mostly because the owner runs it badly, the ones paying is the labor, because the workers will not have a job any longer. One of the big banks has been having serious problems. So, they decided to cut 10,000 jobs. The jobs cutting, means increased productivity, the people remaining have to work more to substitute those let go. In the same time, the profits, which are not really improved, only seem higher, because they are not supporting extra labor. Instead of concentrating in creating new work, they cut the work until the numbers look good. You see, I think that every one is entitled at full credit, as long as the person achieves alone, but as long as one depends on others, the situation changes. "If you owned a business, and you had workers with a union demanding more than you were willing to give - then it would be your right to seek employers elsewhere." Well I don't know about all that union stuff, Crin. It seems like unions became too powerful, and demanded too much. If you owned a business, and you had workers with a union demanding more than you were willing to give - then it would be your right to seek employers elsewhere. There is never really going to be any sort of consensus as to what a fair wage is for a certain job done, and just what the boss's cut on it should be. How can such things be determined to be "too much," or "too little," or even harder, "exactly fair." I just don't know. I support a business man's right to go out of business for not offering enough to get good help, and I support a business man's right to go out of business for paying his workers too much...and of course, I support a business man's right to make a fortune while paying his workers terrific wages too. What I don't know how to do is figure out just what is right in the business man's profit and the worker's wages. But you are attacking the symptom, not the cause. He and his grandfather and the rest who are involved in bad deeds, are taking advantage of human thirst for money and fame. Today in Michigan, while everyone is concentrated on the anti union laws that have been signed by the governor, he also signed some legislation which in a way puts Eugenics to shame. cheaptrick, thanks very much for that tidbit...when this page gets out of ...processing, or whatever they call it, I'll see what I can find and edit that information in there!!!! I believe The Rockefeller family was instrumental in the eugenics program of the 20's and 30's in the Carolina's...forced sterilizations of 70,000+people.It was the model for Adolf and friends. I've also read the initial pulse of money that shot the Rockefeller's into prominence came from the Rothschilds.David was and is a henchmen,an economic hit man. It sounds like you definitely know a lot more about them than I do! I hope to find some good books on the family...more than one, so I can know more! It is so ironic that David Rockefeller's grandfather was an intense Christian that did not drink or party and believed that God had ordained him to control the oil trade. The reason why we use crude oil as a source of electricity and gasoline for cars is because of this powerful family. New York City was originally powered by the hydroelectricity from the Niagra Falls. John D Rockerfeller actually paid scientists to invent engines that would use gasoline in order to create a market. I could go on and on. The families fortune cannot be measured in money. Because they can print the amount they need. They are one of the stakeholders of the federal reserve mint.